​Curated by Bettina Anderson with assistance from Peter Thomson of Thomson's Motorcycle Museum and local motorcycle historian Noel Foot, this impressive 500m2 interactive exhibition drew crowds (and bikes), to Te Manawa during its 8 month stint on the floor. It amassed a never-been-seen-together-before collection of bikes under one roof, showcasing rare Kiwi-built icons by the likes of Steve Roberts, Ken McIntosh, Bryan Thomas and John Britten. 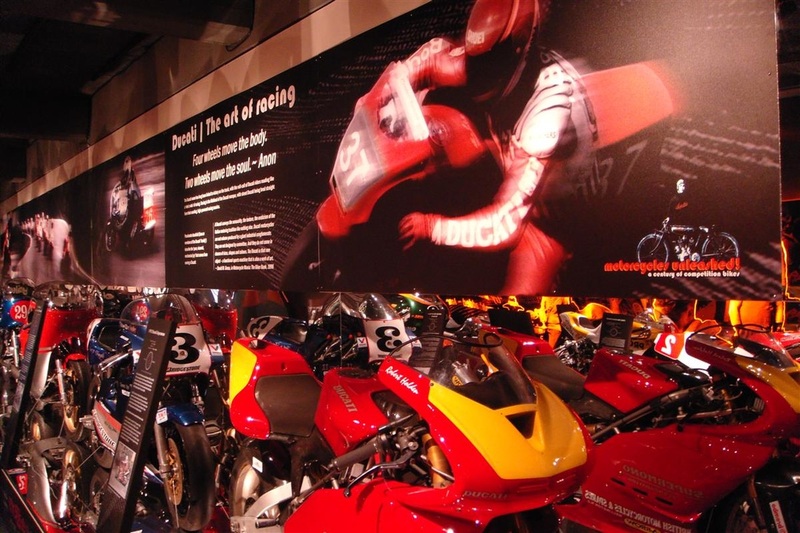 ​A motorcycling heritage exhibition of this scale had not been attempted in the New Zealand museum sector before, and it was rated highly by the industry and motorcycling fans alike. The creative team produced a highly professional exhibition, pioneering unobtrusive secure bike-mounting systems and utilising mirrored plinth displays to maximise viewing of mechanical parts.